A small country tucked between Germany and Belgium, the Netherlands is famous for tulips, windmills and a liberal mind set. With a high standard of living and many innovative companies, a Netherlands work permit is a great way to enhance your career. Strictly speaking, Holland is a region in the Netherlands. It has now been split into the provinces of North Holland, home to the capital city of Amsterdam, and South Holland, which boasts Europe's largest port. While most people will understand you if you say either Holland or the Netherlands, some Dutch people, particularly those who are not from the region of Holland, do get a little cross! Which language is most useful? Dutch is the official language of the Netherlands. However, as the country is so small and in the heart of Europe, almost everyone in the Netherlands speaks a second language. 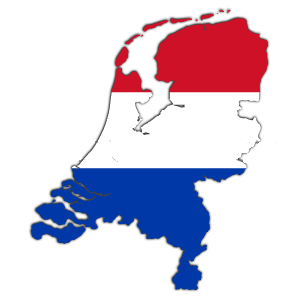 Up to 86% of Dutch residents claim to speak English, and it is the main language for many businesses. English is widely spoken in the larger cities, particularly the capital, Amsterdam, which is very multicultural and welcomes residents from around the world. The Netherlands is a small country and, particularly in the south, is very densely populated. The cities tend to have the feel of a smaller town, and even Amsterdam tends not to have high rise apartment blocks, however, it's not so easy to find a quiet country retreat as there are houses everywhere! As a result, most people live in pleasant neighborhoods between city and country, either in low-rise apartment blocks or single-family homes. Gardens are typically small, but there are many pleasant parks and green spaces, even in the larger cities. In northern Europe, the Netherlands has a temperate climate similar to that of the UK. Summers are usually warm, not hot, with temperatures averaging 20-25C. Winters are mild, with temperatures around 0-10C. It snows most winters, but the snow does not usually last more than a day or two. Rain is common but thanks to its protected position, severe storms are rare. The Netherlands is a very popular destination for immigration and has a high standard of living. The cost of living is typically high, although not as high as in some other European countries. The Netherlands is a country with a strong social conscience, and takes good care of its residents. This typically includes anyone with a Dutch student visa. If you are studying at one of the Netherlands many esteemed universities, you may be eligible for low cost student housing. A country with a long history, the Netherlands is a popular tourist destination. As it's part of the EU, a Schengen visa will allow you tourist access. Most Netherlands tourists visit Amsterdam, which is famous for its pretty streets overlooking canals and its many museums. However, the rest of the country is also very pretty, with many beautiful old buildings, quaint towns, and pleasant countryside. MoreVisas is India's Most Eminent Visas and Immigration Consultant, who assists on Netherlands Immigration process for a work visa, tourist visa, business, Schengen visa & other visas for the quick migration process.